Radley Haddad figures not many have it better this year than he and his younger brother, Griffin. 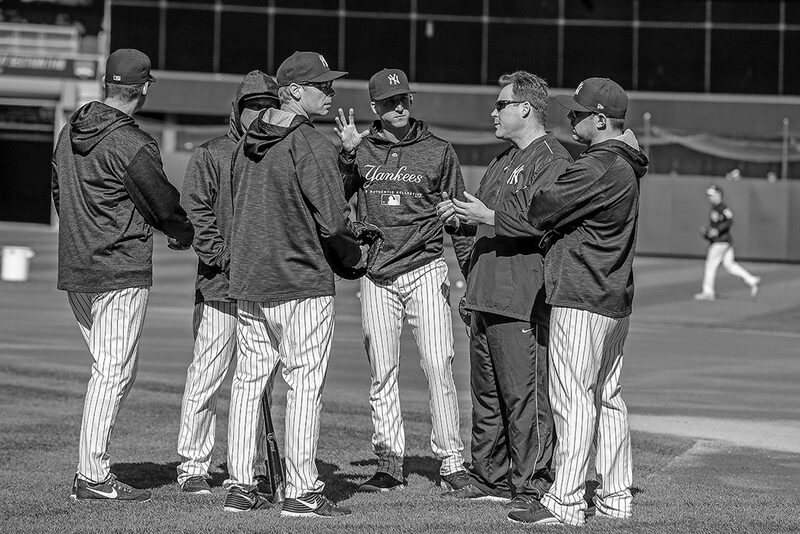 Radley, 28, has served two seasons as New York Yankees bullpen catcher and a coaching assistant. 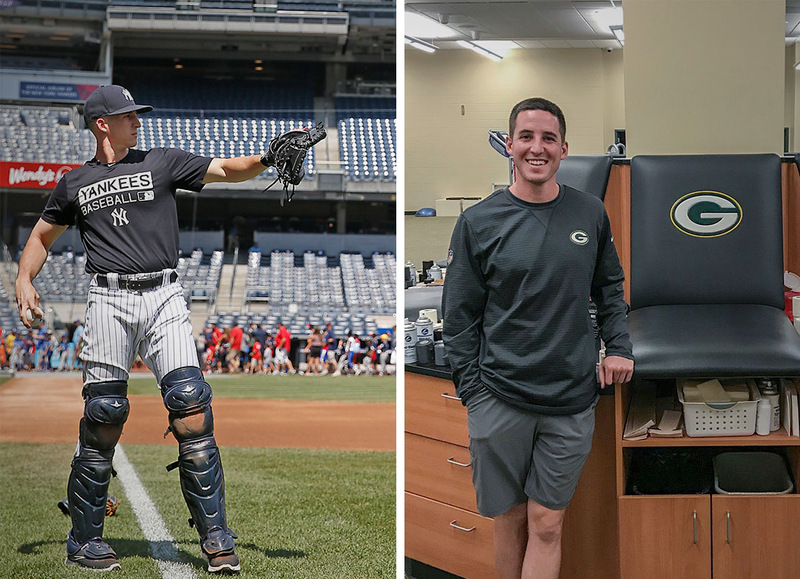 Griffin is spending this season in the Green Bay Packers athletic training residency program. The brothers grew up in Carmel and attended Clay Middle School before graduating from Brebeuf Jesuit Preparatory School. 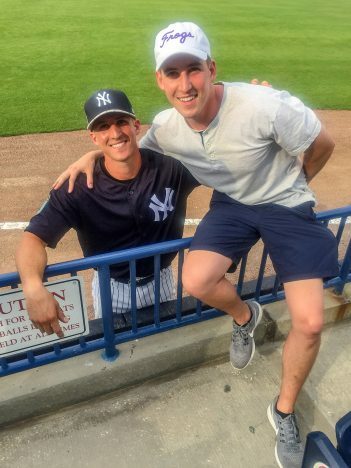 Radley, a finance major and baseball player at Butler University, signed with the Yankees as a non-drafted free agent in 2013. He played 92 games in four years in the minor leagues, reaching Double-A with Trenton for a game. He spent the second part of 2016 as player-coach at rookie level Staten Island. He showed up for spring training in 2017 and was switched to his current role. Before his playing career ended, then-Yankees manager Joe Girardi, who was let go after the 2018 season, decided to surprise Haddad and reward him with one at-bat for the Yankees against the Atlanta Braves at Atlanta’s SunTrust Park in a spring exhibition game. Radley said he already has expanded his knowledge. The biggest lesson Radley has learned is the amount of preparation that goes into each game. On a typical day, Radley watches video on opposing hitters and pitchers. He said he does a lot of advance scouting to help prepare game plans. For the first three innings, Radley is in the dugout getting the feel of the game. As the game has transitioned to being more analytics driven, Radley said he has an advantage with his finance background. “I know numbers and the game a little bit, which is a good combination,” Radley said. Radley attempts to bridge the gap between the two sides. “It’s interesting the blend between the old-school baseball guys and the new analytics side,” said Radley, who married Butler graduate Arielle Hemrick, a Brooklyn dentist, in November. Griffin was his best man. Like his older brother, Griffin, 26, was a catcher at Brebeuf. However, a pair of wrist injuries forced Griffin to move to second base to finish up his high school career. Working with athletic trainers at Brebeuf with his injuries introduced him to the profession and what it entails. “That was the first realization that sports medicine would be a great way for me to maintain my presence in athletics as well as study something interesting,” Griffin said. Griffin said he realized he didn’t want to pursue playing baseball after high school. “My brother is a little more competitive and self-driven when it comes to competition,” he said. Griffin worked with the football team while an undergraduate at Texas Christian University in 2014. He then worked with Michigan’s football team for two seasons while studying for his master’s degree in sports management. 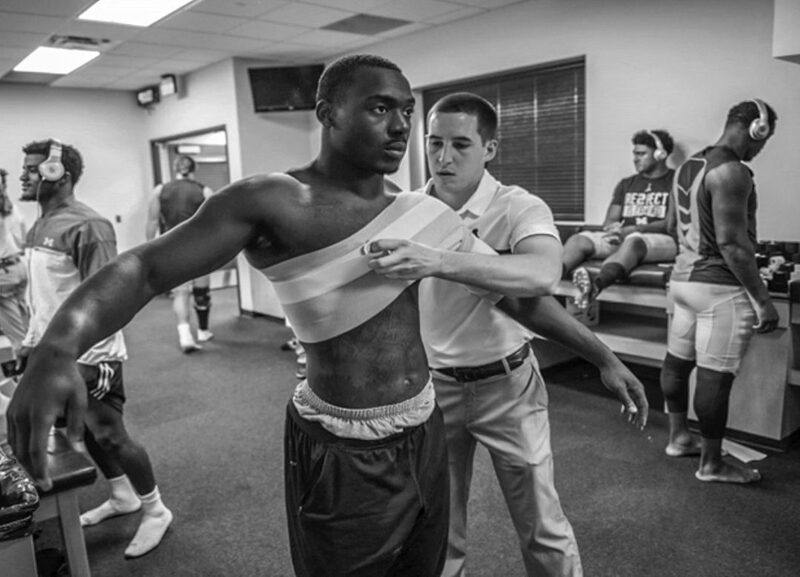 He is on a full, one-year sports medicine internship with the Packers that can be renewed. However, Griffin might be seeking a full-time position. Griffin enjoys the lifestyle of not having to travel as much as he would with a Major League Baseball or NBA team.